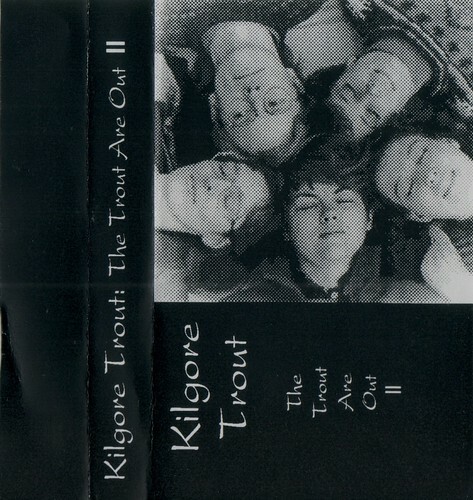 The Calgary musical troupe Kilgore Trout describe themselves as being composed of "working stiffs and students." Lori Hogg is a general practitioner studying to be a psychiatrist, Bob Brennan is an engineer working on a Ph.D., Gail Korchinski is a systems analyst, Kari Strutt and Jackie Bell are writer/editors. They are joined by their passion for music. The material on their debut album, One Voice Starts..., is drawn from a variety of sources from traditional ballads to the Trout's own brand of "folk and roll." The soaring vocals, frequently joining in two-, three-, and four-part harmony, highlight the group's solid songwriting. 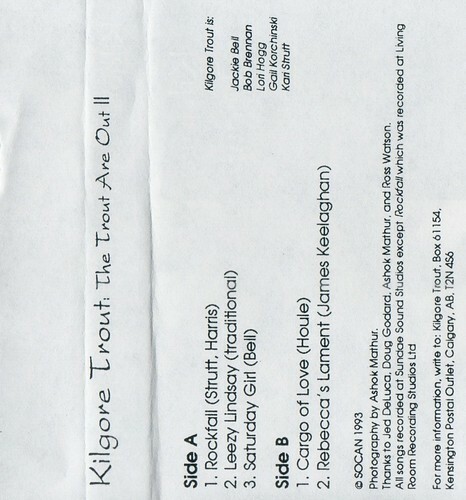 Kilgore Trout disbanded in 1996.